Entry by Dariyuphie on Sat Mar 19 08:58:37 2011. Is this a real anime ? since there are a lot of Magi's picture at Pixiv, I was also wondering if it will be made into anime. aah ok Thanks yo answer ! I hope this become a anime ! But where can I find the manga ? Read it at Mangafox or Animea. I hope this will be made as anime ! @Toukosama Is he not a true character? Judal has a BIG role in the manga. What I'm talking about are the translated chapters which are 17 while the manga is somewhere around ch72 or something. 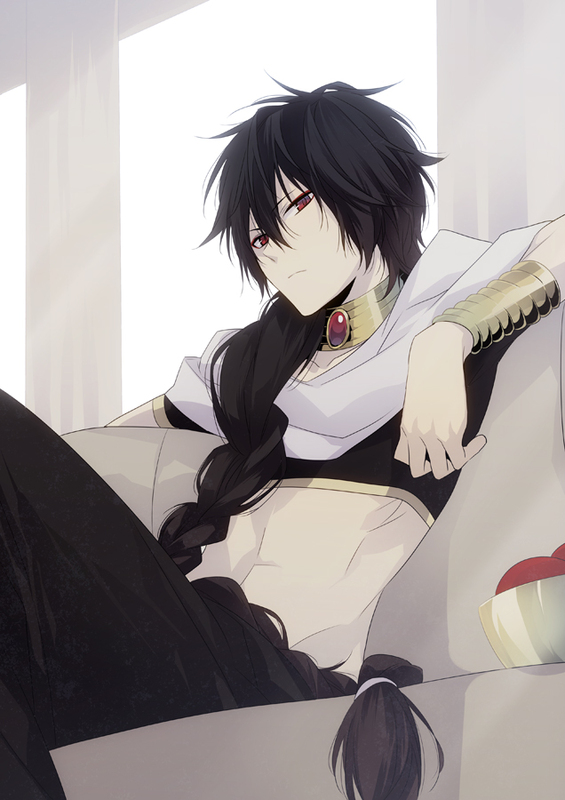 anddddddddddddddd heard that Judal also one of the Magi.. He's so hot, I think I'm joining on reading the manga too. I seriously love this art. It's so beautiful and Judal looks hot. Judal!!! Love you so much! The Manga continues to be translated! Why ryogo/Hummel make all the antagonist to a extremely cool man? ?